In light of recent events that have taken place on the national stage regarding admissions, it can be difficult to have faith in the concept of truth-telling. From policymakers who do their best to suppress the media to wealthy celebrities secretly tampering with their children’s admissions processes, the truth is murkier than ever. 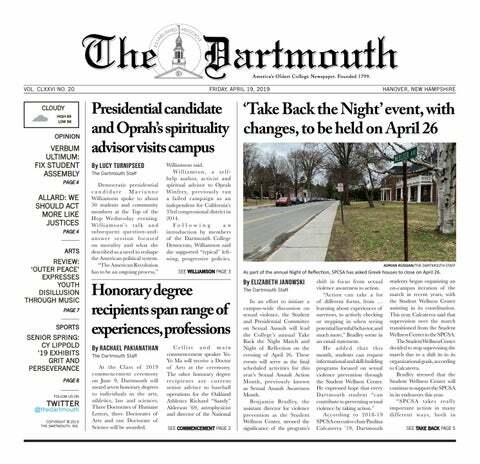 And yet, tomorrow evening, Dartmouth will admit a brand new class of students with ethusiastic acceptance letters, welcoming them to an institution that prides itself on teaching its students how to pursue the truth. In this week’s issue of the Mirror, we reflect on admissions in all of its aspects: in college applications, in truth-telling and in the future admittances we may strive for. And while we note inconsistencies in truth across the board, we also find that individuals on this campus are striving to be better than those who have come before them — and in that, there is hope.